These Quinoa Chocolate cookie-cakes are soft with a cake like texture rather than a hard biscuit. You can add dried fruit or chopped nuts for more crunch but they are so good just as they are with chocolate! I bought some Coconut sugar recently, I was intrigued to see how it worked in my baking, I tasted it first to see how sweet it was and was pleasantly surprised to find it far less sweet than white or brown sugar. Coconut sugar is a healthy alternative sweetner that has a lower glycemic index than cane sugar, agave or honey. It is especially high in minerals including potassium, magnesium and zinc, as well as vitamins B2, B3 and B6. The addition of Quinoa makes these little cakes protein-rich and with a little bit of chocolate a delicious treat at tea time, breakfast time or any time! Great healthy toddler snack too, mine loves them. Pre-heat your oven to 180°C/160°C fan/gas 4. Beat the softened butter and Coconut sugar until pale and creamy. Add the egg and vanilla extract and beat in until well combined. In another bowl, combine the wholewheat flour, plain flour, bicarbonate of soda, salt and ground cinnamon. Slowly add the dry ingredients to the wet ingredients a few tablespoons at a time and mix in until fully combined. I used my hand mixer. Stir in the cooked Quinoa and chocolate pieces to the cake batter and fold in until just combined. These cakes are a great way to use up any left over Quinoa. Pop small dollops of the dough onto your baking trays, I prefer to brush a smear of butter over mine for biscuits or cookies, a tablespoon or teaspoon size whichever you prefer and flatten down a little. Space evenly apart. Bake at 180°C/160°C fan/gas 4 for about 12-15 minutes until the edges of the cakes are slightly browned. Cool for a few minutes before transferring onto a wire rack. 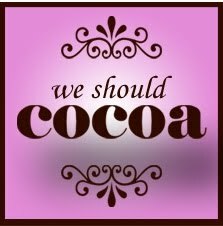 I would normally use 70% dark chocolate in my recipes but I’m linking this post up to We Should Cocoa – The January Challenge where our remit was to come up with something that contains chocolate but is sugar-free including the chocolate. 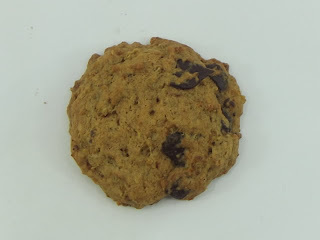 This entry was posted in cake, Chocolate, Coconut sugar, cookies, healthy, minerals, protein, Quinoa, recipe, snack, toddler, vitamins on January 12, 2013 by nutritious8708deliciousnesswellness. With the Christmas festivities and New Year celebrations behind us I can put away my baking tins for a bit and concentrate on healthier fare. I’ve been using Quinoa for a good couple of decades now, it was a great little find back then when Mr ND became a vegetarian and a great source of non-animal protein for him. I have a lot of staple family recipes that I have used over the years and Quinoa has proved a great addition to both my children’s diets too. Simply adding a heaped tablespoon of cooked Quinoa to established dishes like chilli or casseroles will give an extra nutritional boost. Or add to porridge for breakfast for extra protein. As cooked Quinoa will last in the fridge for a few days, you can boil some up and use daily as needed. cooked Quinoa – plain and simple! 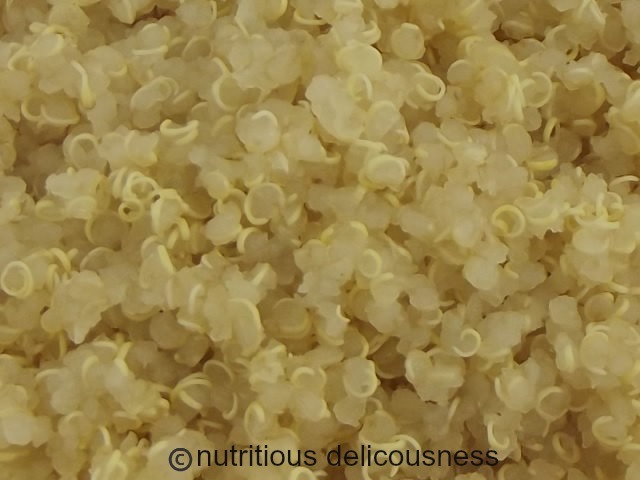 Quinoa is a nutrient-rich high protein superfood containing complex carbohydrates. It is easily digested, high in soluble fibre and very versatile and as 2013 has been declared International Year of Quinoa by the United Nations to recognise the nutritional, ecological, and economic benefits of Quinoa I shall be endeavouring to post a weekly Quinoa Recipe from our kitchen. Quinoa, pronouced keen-wa (it will always been quin-o-a to me as no-one knew how to pronounce it back then so it has stuck! ), was called the “mother grain” by the ancient Inca’s. It is actually a seed rather than a grain and unlike rice or wheat is a complete protein containing all 8 essential amino acids. 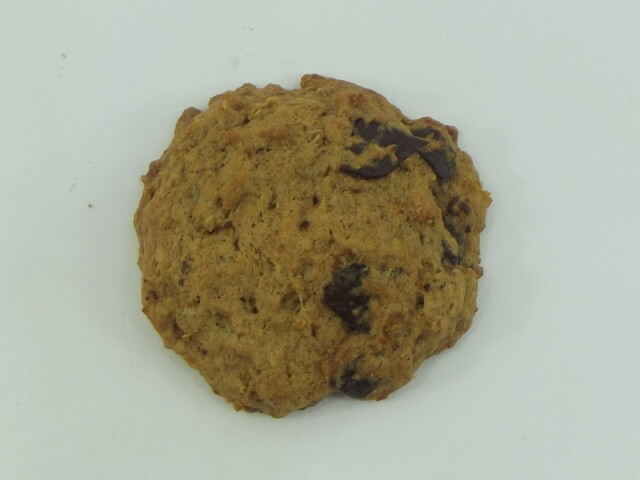 It is amazingly full of vitamins and minerals which you can see listed below and to those who are gluten-intolerant or avoiding gluten as I do at times, it is completely gluten-free. The pre-biotic nutrients in Quinoa also help to feed the good pro-biotic bacteria microflora in our intestines. Other health benefits of Quinoa include assisting weight loss and building muscle. It can help with diabetes as it has a low glycemic index and is a complex carbohydrate, sugars digest slowly which can maintain correct insulin levels. Quinoa promotes cardiovascular health and effective in the prevention of clogged arteries and many more health concerns. This truly is an amazing seed! Calcium, Iron, Potassium, Sodium, Zinc, vitamins B1, B2, B3, B5, B6, B12, E, Folate, Magnesium, Phosphorus, Isoleucine, Serine, Proline, Glycine, Glutamic, Aspartic acid, Alanine, Histidine, Arginine, Valine, Manganese, Copper, Threonine, Phenylalanine, Leucine, Lysine, Methionine & Tyrosine. 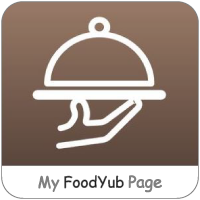 This entry was posted in amino acids, gluten-free, minerals, Quinoa, seed, vitamins on January 2, 2013 by nutritious8708deliciousnesswellness. 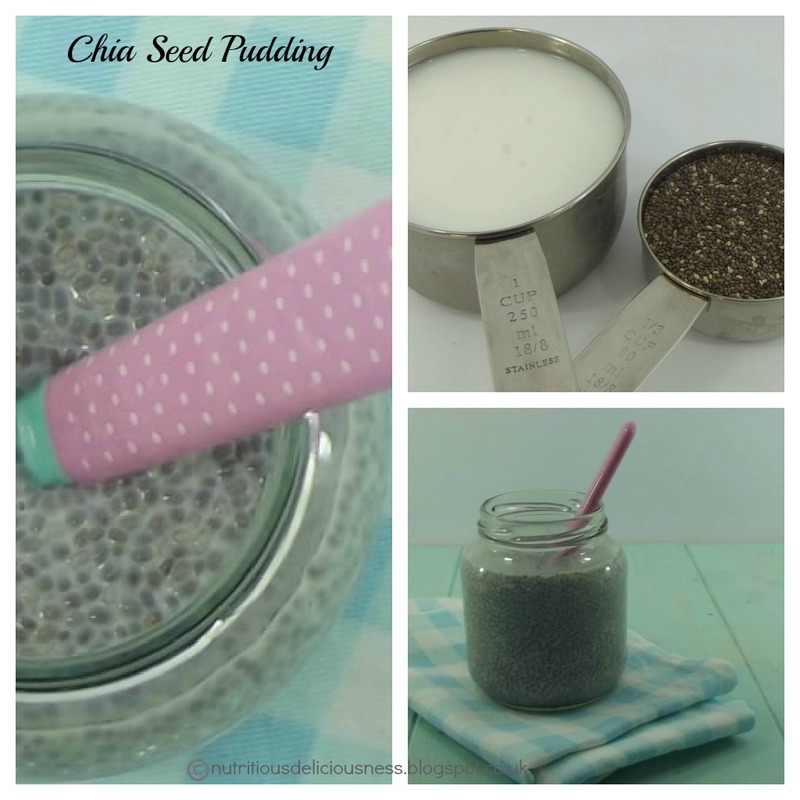 I first read about Chia seeds a couple of years ago and then about a year or so ago I found some not really knowing what to do with them but reading about their nutritional benefits I was keen to try them and find out how to incorporate them into my diet. Chia is a gluten-free wholegrain that comes from a desert plant in Mexico called Salvia hispanica. These tiny black and white seeds were used long ago by Mayan and Aztec cultures to boost energy. Because they have a mild, nutty flavour, chia seeds are easy to add to a variety of foods and drinks. There certainly is a nutritional powerhouse within these tiny, versatile seeds, they are said to have twice the protein of any other seed or grain, the protein is a complete protein with all 8 essential amino acids and 5 times the calcium of milk plus boron which is an important mineral that helps transfer calcium into your bones. With more omega-3 fatty acids than salmon, a wealth of antioxidants – four times higher ORAC value than blueberries and 3 times more iron than spinach, chia’s nutritional benefits are extremely valuable. 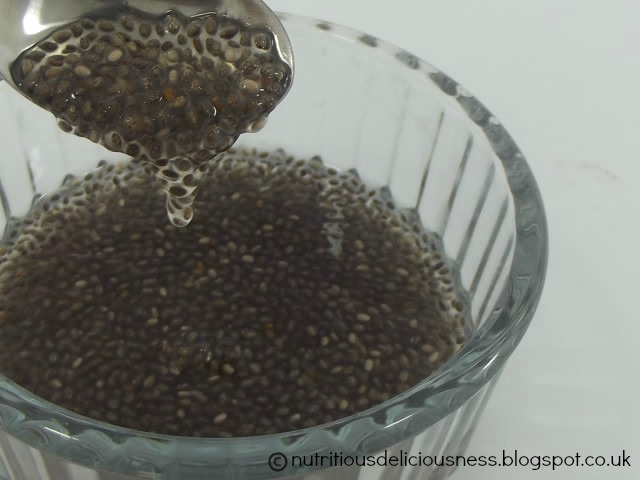 The best way to use chia is to soak in water first (although Chia will absorb any liquid), the seeds will rapidly absorb the water to create a gel which can be used almost immediately although more of the nutrients will be released with a longer soak. Unlike flaxseeds, there is no need to grind Chia first. The seeds are easily digested and absorbed and the nutrients are quickly assimilated into the body. A recommended daily intake is one tablespoon of chia, but make sure you drink plenty of water as chia is very high in fibre. For breakfast I’ve been adding a tablespoon to coconut milk and leaving to soak for a few minutes and then use the milk to cook oatmeal. Chia combines well with yoghurt and fruit and can be added to smoothies, juice, puddings, sauces, soup, cereal, etc for an added boost of nutrition. 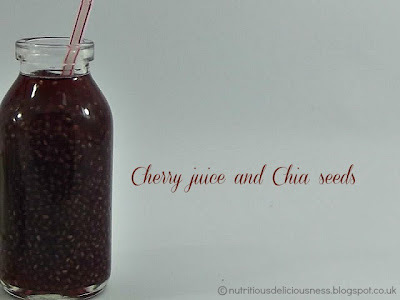 Mix the juice and Chia together, pop in the fridge for 15-20 minutes for the seeds to absorb the liquid. Stir and drink! This pudding is very reminiscent of the Tapioca pudding we ate as children. 1 cup of coconut milk or any milk of your choice, we like almond too. Stir the Chia seeds into the coconut milk, then add the vanilla. 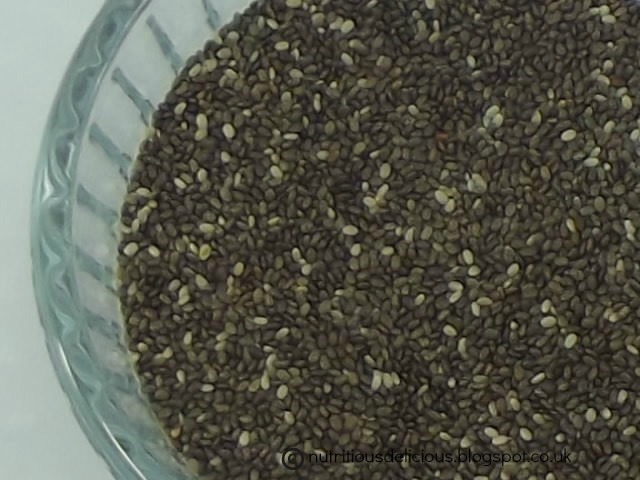 Leave for 20 minutes to allow the seeds to absorb the milk, stirring after about 10 minutes to avoid clumps of seeds. Add a sweetener of your choice to your own palate. 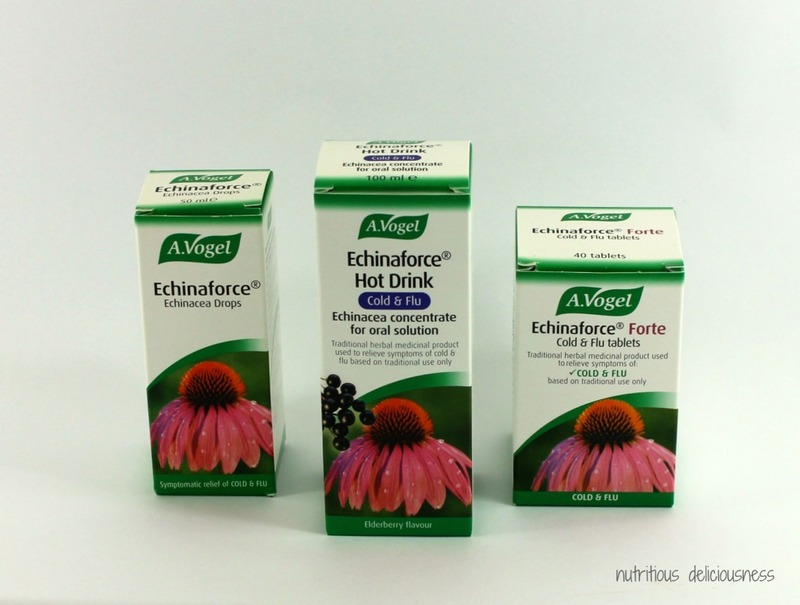 I don’t use any sweeteners – it tastes great without! At this stage you can add anything you wish, cocoa nibs, cinnamon, dried fruit, nuts, etc. For a chocolate variation: add 1 tablespoon of unsweetened cocoa powder to the milk and whisk together before adding the Chia seeds (if using raw cacao powder, you will need a touch of sweetness as it can be a little bitter for young tastes). Enjoy, it’s delicious and nutritious! 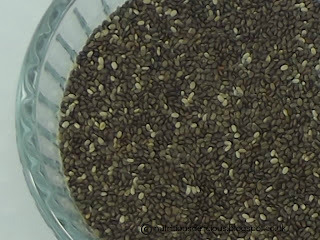 If you are allergic to sesame or mustard seeds you should not be consuming Chia seeds without consulting your health care provider first. This entry was posted in anti-oxidants, Chia, minerals, omega 3, seeds, superfood, vitamins on November 30, 2012 by nutritious8708deliciousnesswellness.